Betatron, a four-month non-vertical accelerator programme, is opened for applications for its cohort 3. Betatron focuses solely on the startups and founders, with the aim to accelerate technology-driven companies. Betatron will be investing in up to TEN different startups with each one receiving US$30,000 funding. 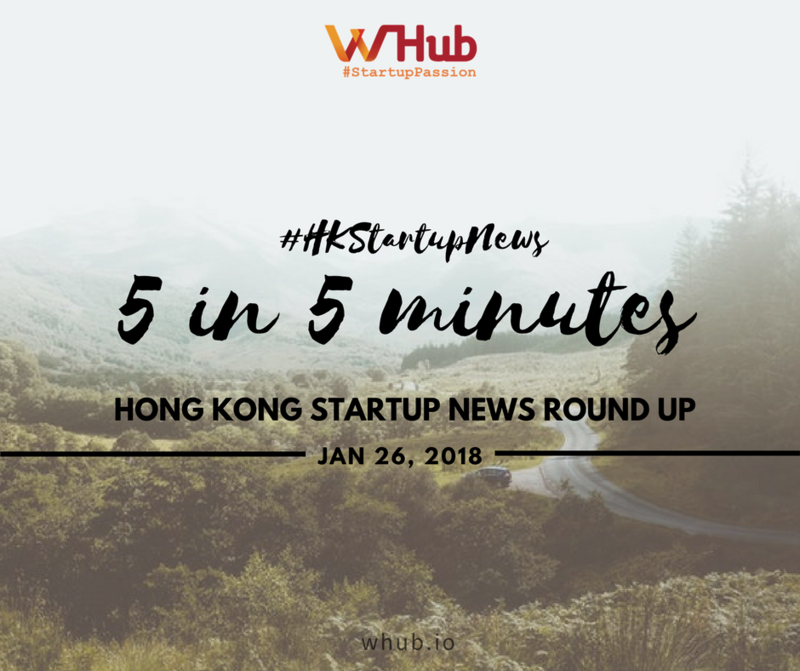 Mindworks Ventures, a Hong Kong-based Venture Capital firm is looking to raise $100 million from a new fund to power its investment in early-stage startups. Founded in 2013, Mindworks invests in less than 10 companies a year. Some of the startups under Mindworks' investment portfolio include KKday, Dianrong and Lalamove. Ninja Van, a Singapore-headquartered logistics company, has raised at least US$87 million in funding, making it one of the most well-funded logistics startups in Southeast Asia, according to Tech in Asia’s data. The series C round is also one of the largest in the region’s history. Joining the latest round is DPDgroup, a European parcel delivery firm which claims to deliver 4 million parcels a day. Its logistics expertise could come in handy in helping Ninja Van improve its services. Swiss Federal Councillor Ueli Maurer and Carrie Lam, Chief Executive of Hong Kong SAR, had a meeting in Bern, Switzerland this week to discuss bilateral cooperation regarding financial markets – including the development of Fintech. The outcome of the meeting was the signing of several Memorandums of Understanding (MOU) designed to strengthen their cooperation on multilateral and international topics and to further enhance the development of the financial services industry in the two jurisdictions. Shopping is one of the most popular online activities worldwide. This is even truer in Asia and online retail continues growing strongly in mature markets like Japan, Hong Kong, and China. Asia’s e-commerce industry is thriving and the outlook seems even brighter: the industry is projected to grow by 12% annually, and to be worth over $2.1 trillion by 2021 according to the Worldpay report. Citiesocial is a curated e-commerce platform that focuses on high-quality home, electronics, and fashion accessories. They work primarily with young, boutique brands from the US and Europe. The Taipei-based startup recently announced a $2.75 million investment led by Alibaba Taiwan Entrepreneurs Fund—a NTD 10 billion (RMB 2.2 billion) fund to support young startups in Taiwan.